When we first introduced you to McVladie, she introduced herself as “My pen name is CLMcNally but most know me as Carlota aka McVladie. 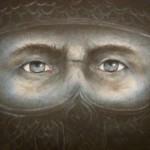 I have always been passionate about two things law and writing.” She has returned with a second post, and it’s a doozy. As I stand on the shore of the lake not too far from my home I reach down and pick up a small round stone and pitch into the smooth glass like water. A ripple begins to form and one large ring after another echoes out from its tiny center. My mind begins to wander as I watch the rings grow ever larger how very much like life these simple waves. One person’s life intertwining with another’s never realizing or even dreaming the impact or ripple affect that they may have. Who would have ever imagined a 15th century Romanian Prince and a 19th century Irish author together would literally change the world. My first encounter with fellow author Dacre Stoker and the great-grand nephew of the Bram Stoker was so shocking I still cannot believe that it truly happened. As I sent my electronic message I imagined I drove to an ancient castle that Dacre would call his home with only the tiniest glimmer of hope that he would agree to an interview. I cautiously approach my heart pounding in my chest as I beat on the thick wooden door. It slowly creaks open and there before me is the man himself. I do not cross the threshold…a lump the size of Texas is in my throat. I stare down at my computer screen the warm glow of green reflecting off my face as I carefully click open my mail. I reread his email for the thousandth time Dacre Stoker astoundingly said…YES. After my initial shock and awe I coolly collected my thoughts…not really I babbled with unbridled gratitude placing as many exclamation points illegally possible in one sentence!!!!!! Once my gushing had subsided I set to task what questions to ask a man who without a doubt has done great things in his own right, let alone the fact he truly has the blood of greatness flowing in his veins from the Stoker’s rich family heritage. Which by the way all those interested in knowing more about the Stoker history can do so by going to the site bramstokerestate.com you will simply be amazed! It seems to be a Stoker tradition to do more than one thing in life and to do them all well. Not only is Dacre Stoker a famous author like his great grand uncle Bram but he is also the godson of H.G. Dacre Stoker, the commander of the AE2 submarine, whose tactics were instrumental in Gallipoli in World War I.
Dacre, who now calls Aiken, South Carolina home, was a member of the Canadian Men’s Modern Pentathlon Team, Senior World Championships in 1979 and coach of the Canadian Men’s Modern Pentathlon Olympic Team, Seoul, South Korea in 1988. Dacre is married to Jenne Stoker and is the father of two children. He is also the Executive Director of the Aiken Land Conservancy. I am grateful for this ripple encounter with Dacre which leads to my first question. What was it like growing up in the shadows of Dracula so to speak? I would say that most of the time my growing up in the shadow of Dracula was perfectly normal. 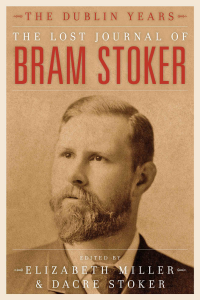 However, once a year for about three weeks surrounding Halloween, Dracula seems to be everywhere, and many of my friends would draw a connection between myself and Bram Stoker. They would look at me a little differently, joke about trick or treating, and whether it’s safe to show up on our doorstep for candy or blood. Later on I would listen to many jokes about serving Bloody Mary’s. And yes, once the connection is made, a common response is, “but you seem so normal, what was it about your relative that inspired him to write such a scary novel”? Many believe that your Uncle’s writing was influenced by the historical 15th century figure Prince Vlad Dracula; Would you agree or disagree with this belief? One of the greatest ongoing debates amongst Dracula scholars and fans is centered on Bram’s knowledge of Vlad Dracula, who was ruler of Wallachia during the mid 1400’s. I think that Bram was influenced in a small way by the real Prince Dracula, not to the extent people today connect the two Dracula’s. Bram made a very clear reference in his research notes to a book by William Wilkinson, entitled The Accounts of Principalities of Wallachia and Moldavia 1820. What follows is an excerpt from this book: “Dracula in the Wallachian language means Devil. Wallachian’s were accustomed to give it as a surname to any person who rendered himself conspicuous by courage, cruel actions, or cunning”. 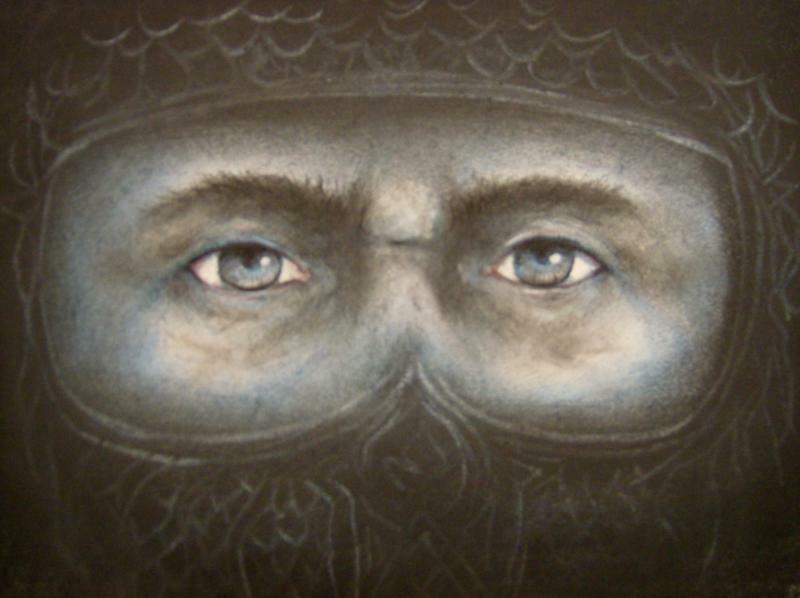 This explains how Bram became aware of the name Dracula, but we do not know the extent of Bram’s knowledge of the Wallachian ruler, and his brutal tactics towards his enemies and his own people. It is certainly possible that Bram had conversations with people who relayed details of Prince Dracula to him, but if so, the conversations were unrecorded and unsubstantiated. If you had the ability to ask your Uncle Bram any question what would it be? Since there is very little written by Bram about his own mysterious childhood illness, and his recovery, I am particularly curious about this time of his life. So I would ask: “How did you recover from your childhood illness to become a champion athlete”? Is it true that your first book Dracula the Undead co- authored with Ian Holt is being made into a movie? Unfortunately there are no firm movie plans at this time. There was a glimmer of hope when our book first came out that a Director and Producer were attached to the project. The group who were attempting to put the film together was unable to come up with the financing. Since then there has been some interest, but nothing like a serious offer has emerged. Who would you pick if given the choice to play Dracula? Johnny Depp would be my first choice for Dracula; the character of Quincey would have to be somebody who could carry his role, someone like Colin Farrell maybe. I always ask this question of everyone… Any five people living or dead you could invite to dinner…who would it be and why? I have thought about this question quite often, as I have asked it myself during training sessions in group dynamics, which is something that I have been trained to do. So I would narrow my choices down to interesting people who have not only been successful in their field, but people I perceive to be fun and interesting to be with. I have been very disappointed on a few occasions to be around celebrities, who will remain nameless, who have been so into themselves that they are very boring company. Furthermore, my choice would be to have dinner with each of these people separately, so I could really have the opportunity to chat and listen, rather then organize a dinner party for these five and myself. Starting with the world of sports, I would like to have the opportunity to chat with Lance Armstrong, I think his story of recovery, success, and controversy is fascinating. From the world of politics, I think it would be very interesting to spend time and chat with John F Kennedy. He was quite a leader, who probably has many interesting stories to share. From the world of entertainment, I think Meryl Streep would be fun to spend time with. She has played so many varied roles, and always appears to be sincere and genuine. I am intrigued with people who extend themselves and make significant advances in life through exploration, be it in the laboratory or through adventures in exotic locations. Therefore, I would love to spend time with Sir Edmond Hillary. Lastly, I would cherish the opportunity to have one more dinner with my late father, Desmond, who died far too young at 56. We did not get to spend enough quality time together while he was alive. Who would you say has influenced you most in your life? My father, Desmond Stoker, set a fine example of setting goals for yourself and then applying dedication, responsibility and hard work in order to achieve those goals. The Stoker family motto, which appears on the family crest going back well before Bram’s time is “What is true and honorable”, without consciously being aware of it, it seems to be a guiding principle in my life. What is something you can tell us about your Uncle Bram that no one knows? He had an immense love of the water. Bram was a rower during his College years; he also loved to swim in the ocean while on his holidays. He used themes involving the ocean in a few of his stories. In fact he was so confident around water that he attempted to teach his son Noel, at nine years of age, to swim by simply tossing him into the shallow water of the ocean. Who is your favorite character in the Dracula novel? Van Helsing, he was very multi dimensional. He was the brains behind the mission to rid London of Dracula, and he also was able to influence the “band of heroes” to come together to become a formidable force. Your Uncle Bram seemed to have a very great sense of Irish humor…would you say you have that same gift? I can honestly say that many of the present day Stoker’s have a similar dry sense of humor. We have a lot of fun and laughs when we get together! How did you meet your wife Jenne? I met Jenne, my wife, while watching Steeplechase races in Aiken, South Carolina during one of my holidays in 1980. Aiken is a lovely small city where we now live. My parents bought a home here in 1977 to escape the cold Canadian winters. When did you first learn that there was a lost notebook that belonged to your Uncle? I learned about it while doing research for the novel Dracula the Un-dead. I was looking through Paul Murray’s excellent Biography of Bram and found a few references to this Journal. I then asked my cousin Noel Dobbs about it and he told me how he had had the Journal in his attic in a box for years. Then more recently it lived inconspicuous on a bookcase amongst other books that Noel had inherited from his grandfather. Since the handwriting was so difficult to read he did not take much notice of it. What was your first reaction when you learned the notebook really existed? At first I was wondering if this was the diary that I had read a reference about in Bram’s Personal Reminiscences of Henry Irving. It soon became apparent it was not, but instead I realized, that it was actual a journal where Bram kept a collection of his early jottings, random thoughts, and memos for future stories. So needless to say I was very excited to have the opportunity to find out as much as I could about Bram’s thinking. How did fellow author Elizabeth Miller become involved with the lost notebook? Since Elizabeth had recently transcribed Bram’s Dracula Notes which live at the Rosenbach Museum, and she is a close friend, she was the logical choice to partner with to properly present this Journal to the world. When will the world be able to share in this rare find and perhaps could we Gravediggers have a sneak preview of the infamous Dublin Notebook? The Robson Press of Biteback Publishing in London will have the book out in March, in time for April 20th the 100th anniversary of Bram’s passing. Your readers can visit the Bram Stoker Estate website as we constantly update it and will be placing some nuggets from the Journal on it periodically. I would like to close with thank-you and express my extreme gratitude to Dacre Stoker for being so gracious and taking the time out of his busy schedule for this interview.